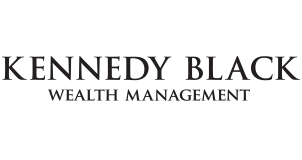 Kennedy Black WM is a Chartered Financial Planning firm offering financial planning, wealth management and tax and estate advice to high net worth individuals in London and Beaconsfield. that may be of interest to our clients. latest budget reports and financial news. An extra £250,000 ISA allowance? Kennedy Black Wealth Management featured in City A.M.
Kennedy Black Wealth Management is RDR Ready! How much should I contribute towards a pension? Do you need life assurance? Inheritance Tax: an optional tax?